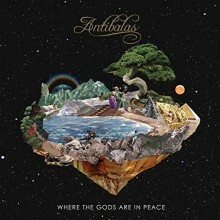 Raise your hand up high if you know & are into the Brooklyn band, Antibalas. Not bad, not bad—I see a few hands and a fist or two. 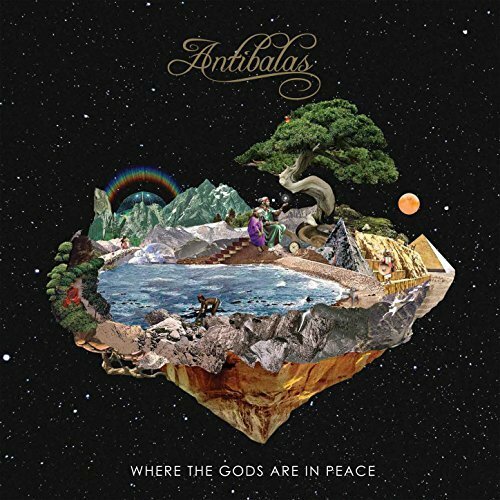 Now, for those who aren’t hip, let me explain exactly who Antibalas is. The group formed in 1998 with Martin Perna at the front. The word antibalas is Spanish for “bulletproof”, which lends credence to their long-lasting career in the afrobeat world—19 years and still going strong. Antibalas plays afrobeat music, paying homage to the king of afrobeat himself, Fela Kuti. Listen very carefully—you may hear Eddie Palmeri piano stylings and personally, I think I hear another echoes of another band hailing from Brooklyn, Mandrill. Where The Gods Are In Peace could be considered a head scratcher because it’s so short. It showcases only five tracks, but in reality, it feels like ten, perhaps fifteen. To only have five tracks and still packing a serious blow is true testament to what this band is all about. Take the track “Goldrush”. It opens up with early 1970’s rock FM and fast as you can FELA, BAM! The mood shifts into afrobeat, advanced version. Brilliant! They have you thinking one thing, but accomplish another. Antibalas is very well-schooled in pulling off feats such as this. “Tombstone”, believe it or not, is the third, fourth and fifth track–a 3-part finale that will blow your mind. Zap Mama, the beauty from Belgium, lends her vocals on all three tracks. What can one say? Makes you wish more acts took risks like Antibalas, but they would be asking too much. Antibalas is one of a kind, folks. Where The Gods Are In Peace. Enjoy it for what it is—an amazingly powerful punch in just a five step gig. Next time, I expect to see more hands raised when asked, “Who knows about Antibalas?” Don’t disappoint me. This entry was posted in Jazz, Latin, Popular, Rock, and Misc., Reggae, World Music and tagged 2017, 2017 Album review, 2017 albums, 2017 releases, Afrobeat, album review, Antibalas, Brooklyn, Daptone Records, Eddie Bowman, Martin Perna, Where The Gods Are In Peace, World Music, zap mama by aaamc. Bookmark the permalink.